We were first introduced to superhero comics in our early childhood years and were blown away by the impeccable and intense storylines such as the infinity gauntlet, the onslaught story featuring the X-Men, Alpha Flight, the Spider-Man Venom Saga and the Days of Future Past amongst many others. With all these marvel comics the name “Stan Lee” was consistently etched on the cover next to the @marvel logo. Our adventurous minds were completely blown away, as if awoken from a deep slumber. To this day we still feel the impression and impact his comics made on us. It’s hard to be a creative in this part of the world where grown men and women with any association to comics, super heroes, alternative arts and animation are tagged childish, immature and often discouraged since our society deems it non-profitable. Truth be told, some stories and experiences are best depicted in these art forms. We always complain about unemployment however we refuse to see we are limiting ourselves to job opportunities because of fear of being ridiculed. 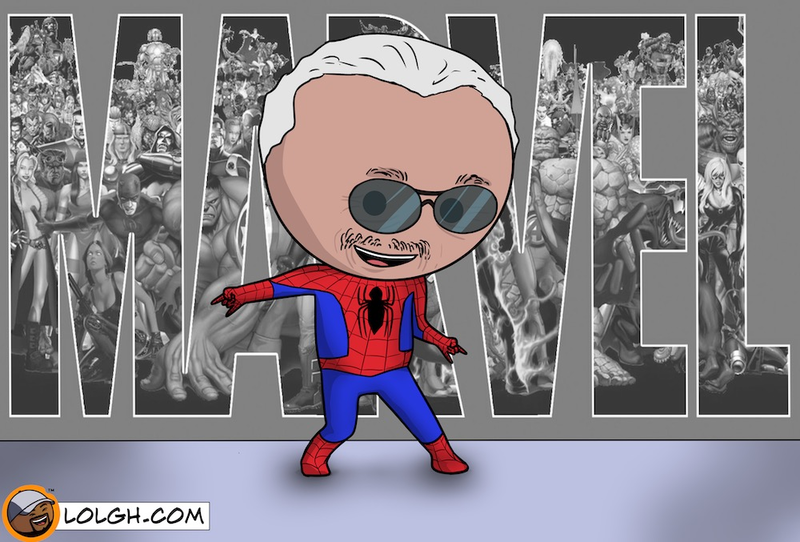 We are forever grateful to Stan Lee for starting this comic revolution. You left enormous shoes to fill but we promise to do our very best!